Source: Ecotoxicology and Environmental Safety, Volume 171:199-205. | January 28th, 2019 | By J. Bao, WJ Yu, Y Liu, et al. Increasing levels of PFBS and PFOA occurred in groundwater beneath the Fuxin FIP. Groundwater contaminations of PFBS and PFOA might pose health risks to residents. PFBA and PFBS were the major contaminants in home-produced vegetables and eggs. PFBA, PFOA, and PFBS could enter vegetables via irrigation with local groundwater. High-level contaminations of perfluoroalkyl substances (PFASs) were determined in both surface water and groundwater around a fluorochemical industrial park (FIP) in Fuxin, China, over the past few years. Yet little is known about whether groundwater PFAS contaminations in Fuxin could be introduced into home-produced vegetables and eggs in local residences via the application of groundwater for the irrigation or feeding purposes. 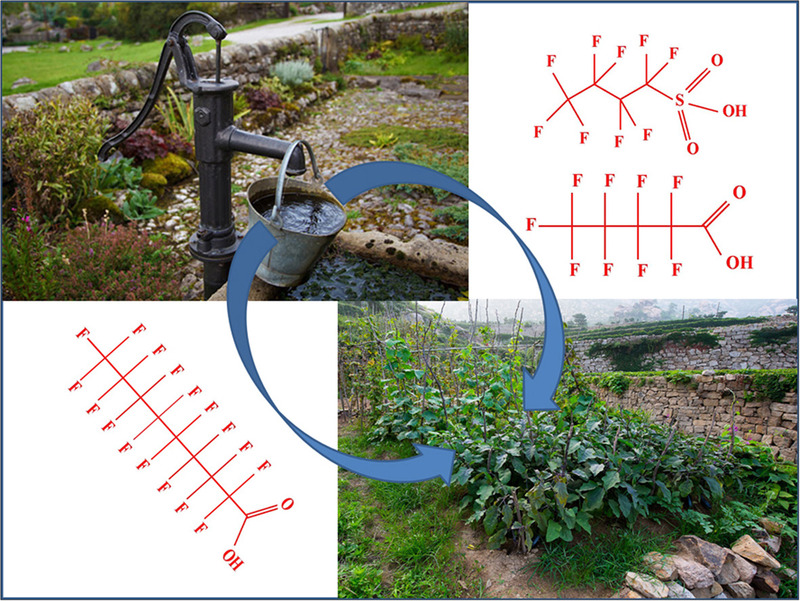 In the present study, ten PFAS analytes were analyzed via high-performance liquid chromatography–tandem mass spectrometry (HPLC–MS/MS) to investigate the extent of PFAS contaminations in the groundwater, soil, and home-produced vegetable and egg samples derived from Fuxin. As the predominant PFAS contaminants, perfluorobutane sulfonate (PFBS) and perfluorooctanoic acid (PFOA) were observed in groundwater beneath the Fuxin FIP with the maximum concentrations of 21.2 and 2.51?µg/L, respectively, which were 24-fold and 5-fold higher individually compared to those reported previously. Both of them were also higher than the updated health advisories for PFBS and PFOA in drinking water issued by the Minnesota Department of Health and the US Environmental Protection Agency. In addition, short-chain PFASs involving perfluorobutanoic acid (PFBA) and PFBS were found to be the major contaminants in both home-produced vegetables and eggs from the residential gardens around the FIP. Statistically significant relationships were determined between the levels of PFBA, PFOA, and PFBS in local groundwater and those observed in home-produced vegetables (p?=?0.003, p?=?0.025, and p?<?0.001), suggesting potential entry of those PFAS contaminants into home-produced vegetables via irrigation with groundwater beneath the FIP.